In common and secular parlance, epiphany refers to insights, realisations and awakenings, “aha moments” and even major, life-changing revelations that have had the greatest impact on our lives. The word takes its name from the Greek “epiphania,” which denotes the visit of a god to earth. To us Catholics, the Epiphany is more than just a beautiful word; it signifies the feast in which we celebrate the manifestation of Jesus Christ. The feast actually unites three events in the life of Christ when His divinity, as it were, shines through His humanity: the adoration of the Magi; the baptism of Christ in the Jordan; and the first miracle at the wedding feast of Cana. Moreover, at Epiphany the Church looks forward to the majestic second coming of Christ when His manifestation as God will be complete. In this splendid exposition of the condition of the Magi, Pope Benedict helps us to see the deep correlation between the quest of the Magi and that of our largely secularised non-Christian society. These wise men were Gentiles, not Jews. The term magoi in Greek refers to a wide variety of people, including fortune-tellers, priestly augurs, magicians and astrologers. 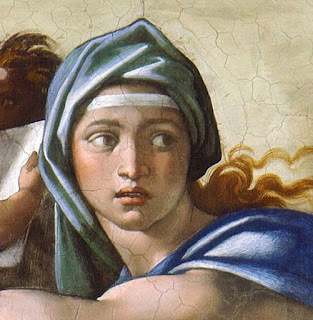 Because of their connexion with the star in this story, it is safe to conclude that St Matthew identified them mostly with the last group. Instead of searching the scriptures, they looked to the skies, to the stars and constellations. But in reward for their ardent though perhaps misguided search for truth, God in His great mercy, led them to Christ anyhow. The universal message of Epiphany is also reflected in the other readings. The first reading speaks of non-Jews bringing gifts in homage to the God of Israel. Here the Prophet Isaiah, consoling the people in exile, speaks of the restoration of the New Jerusalem from which the glory of the Lord becomes visible even to the pagan nations. Thus, the prophet in this passage celebrates the Divine Light emanating from Jerusalem and foresees all the nations acknowledging and enjoying that Light and walking by it. Again in today’s Psalm, we are told that all the kings of the earth will pay homage to and serve the God of Israel and His Messiah. Thus, the readings express hope for a time when “the people of God” will embrace all nations. As a privileged recipient of a Divine “epiphany”, Saint Paul in the second reading reveals God’s “secret plan,” that the Gentiles also have a part with the Jews in Divine blessings. Hence, St. Paul explains that the plan of God includes both Jews and Gentiles. Jesus implemented this Divine plan by extending membership in His Church, making it available to all peoples. Thus, the Jews and the Gentiles “now share the same inheritance, that they are parts of the same body, and that the same promise has been made to them, in Christ Jesus, through the gospel.” Hence, there are no second-class members in the Church among the faithful. If you’ve ever wondered what the word “Catholic” means, here we have it. Derived from the Greek word meaning “according to the whole,” it means that Christ did not come to establish some local religious sect for a select few, one “cult” among many. No, the Church He founded is “catholic” or universal, spread over the whole world, welcoming the whole human race into one nation, one family, under one King. God has shown us that pagans can be mysteriously drawn to him and used by him, at times even through their own imperfect traditions of wisdom. Michelangelo depicts this beautifully in the mural paintings of the Sistine Chapel. Lining the top of one wall of the chapel are famous paintings of Old Testament prophets. Opposite them are not New Testament apostles as one may expect. But rather, a row of the Sybils, the pagan prophetesses of the ancient world, in whose oracles there were discovered shadowy allusions to a future Saviour. Illustrating the insightful humour of Michelangelo, one of the Sibyls has her mouth agape with astonishment, her eyes fixed on the fresco of the risen Christ at the altar wall of the chapel. Indeed, the deepest desires of all peoples, the elements of truth found in all their religions and philosophies, are fulfilled in Christ. From the very beginning of the Christian story, then, Jesus is clearly not just the Jewish messiah who has come to deliver the people of Israel from foreign oppression. No, He is the universal king, the ruler of all, who has come to tear down the hostile wall dividing Jew from Gentile, nation from nation. This is the magnificent message of the Epiphany. Does this mean that all religions are equal and that we should not impose our ideas upon others? Not at all. St. Justin Martyr said that there are “seeds of the Word” scattered throughout the world. But seeds are meant to sprout, grow, and bear fruit. These seeds are merely meant to be preparation for the full and complete proclamation of the good news in Jesus Christ. Jesus is the light who illumines our personal existence and who guides us toward the fullness of life in heaven. He is the light who guides us on our journey of faith. All peoples of the world have a right to this “Catholic” fullness. And it is our obligation to share it. When we think about the condition of the world today, we see a lot of darkness or, at least, a lot of fog. Many are longing for truth and meaning, hope and joy, whether they are actively searching or not. The task of the new evangelisation calls us to bring the light of Christ into this darkness, to help people to see through the fog of confusion in a culture of increasing secularism and relativism, to sieve through the many ideologies, opinions and subjective truths, and to identify and recognise the Truth. For us Christians, the Truth is a person, our Lord Jesus Christ, who is the Way, the Truth and the Life. The Church has the mandate from Christ to offer the light of the Gospel to all people. Christ is the light of the nations who came to offer salvation to all people. We are all called to be stars to lead others along the path toward Christ, to show God’s light by the way we live, speak, and act.